Give us a call at (912) 356-1140 and let's get started! 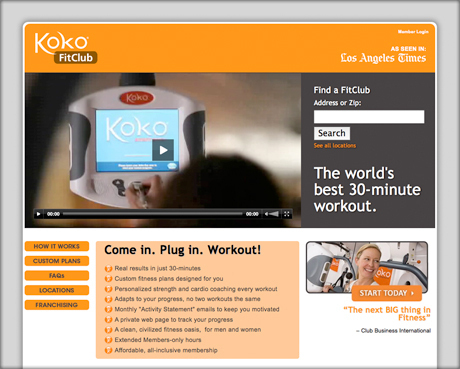 Koko Fit Club, a rapidly growing franchise of fitness clubs across North America, came to us needing a dependable web team and a flexible and effective website. We assessed their needs and delivered a fully-functional business tool. This is a screenshot of the finished product that allows locations to be easily added and displayed, urls are advertising-friendly, and visitors are able to find nearby locations quickly. Also the site allows people managing the advertising campaigns to perform A/B split testing and track conversions.